If you’re looking for an authentic all-Texan angling experience, Texas City should be at the top of your bucket list. 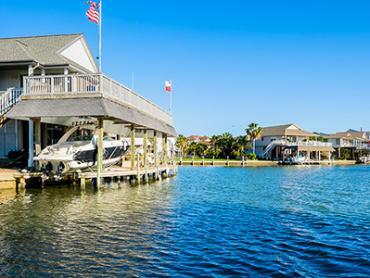 Just half an hour (37 miles) south of Houston and 10 miles northwest of Galveston, this deepwater port on the Texas Gulf Coast makes a perfect destination for day trips. 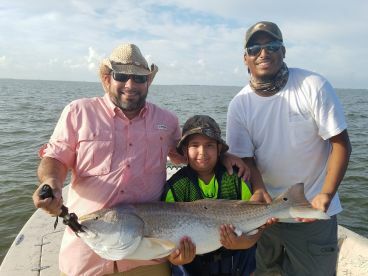 To the locals of Texas City, fishing is more than just a sport; it's a lifelong tradition passed from one generation to the next. And no wonder, considering the geographical position and natural beauty of this Lone Star State city. 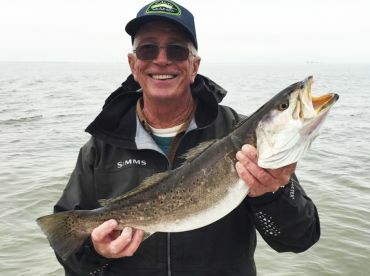 With Galveston Bay to the east, Moses Lake and Moses Bayou to the north, and Swan Lake to the northeast, Texas City provides a plethora of opportunities to anglers of all ages and experience levels. Texas City fishing charters can take you anywhere from the Texas City Dike to shallow flats and coastal waters. Even the offshore fisheries 50+ miles out are worth a visit – choose your prey and the seasoned local captains will get you to the best spot. Everything's bigger in Texas, but in Texas City, everything's longer too. 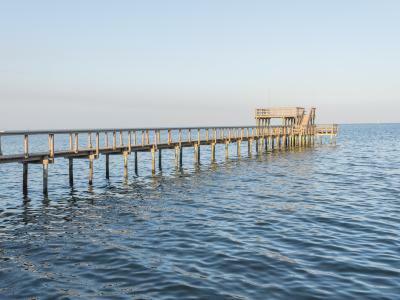 Texas City Dike, "the world's longest man-made fishing pier," stretches 5 miles to the east towards Pelican Island, into the mouth of Galveston Bay. Fishing the Texas City Dike is the top choice for many visitors, as well as locals. The entrance is only a few dollars during "daylight hours" on summer weekends (weekdays are free). If you're a night owl looking to land your prey after the sun sets, we have good news for you – "dark hours" are free. These 5 miles of paved road with shoreline on both sides are a magnet for Bull Reds. The square boulder side of the dike is famous for attracting schools of Sheepshead. For beginners, the Texas City Dike is the perfect place to start – serious anglers and adventurers will go for boat fishing. To get the most out of Texas City Dike, launch from the farthest ramp. This will get you to the heart of the Galveston Bay within minutes. Here, you can cover a variety of top fisheries, targeting Redfish, Flounder, Trout... and that's just the beginning. 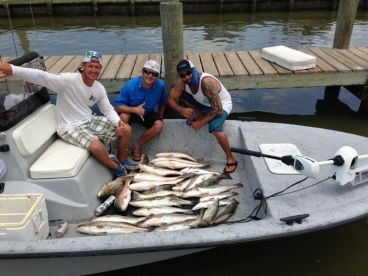 With an average depth of 6 feet spread through 600 square miles of water, Galveston Bay is a one-of-a-kind inshore fishing paradise, and one of the biggest and the richest fisheries in the Gulf of Mexico. These bountiful waters are all about the top three Texan A-listers – Redfish, Flounder, and Trout. The grass flats and murky shallows are teeming with giant fish. Black Drum, Sheepshead, and a variety of Sharks will also be there to test your lines. 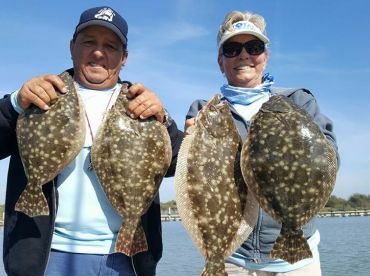 Inshore fishing in Texas City is great year-round, and winters are no exception – the Galveston Flounder run and the enormous schools of Trout and Redfish are a great reason to head there out of season. 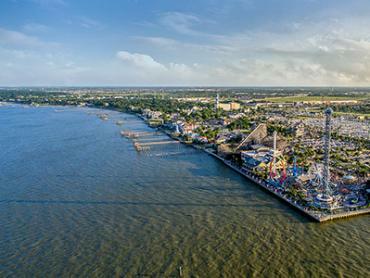 If you want to go the extra mile during your visit to Texas City, hit the waters farther from the coast and expect the unexpected! You're bound to cross paths with Kingfish just a couple of miles from the shore and of course, there are Sharks too – Blacktip, Bull, Tiger, Hammerhead, you name it. Not only do the local waters offer an abundance of Shark species, but these bad boys can grow to an enormous in size – Texas City holds the state record with a 1,033 lb Hammerhead Shark caught at Texas City Dike during the 2017 Tackle Time Fishing Tournament. 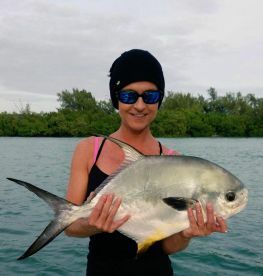 If you head even farther offshore, you'll get to target Snapper, Cobia, Tarpon, and Jack Crevalle, and if you want to reel in something larger than life, your dream catch will be waiting for you 40+ miles from the coast. Here, you'll get a chance to battle Tuna, Wahoo, Mahi Mahi, and, if you're lucky, even Blue Marlin. You need a valid fishing license with either a freshwater or saltwater endorsement to fish anywhere in Texas. Most Texas City fishing charters do not include licenses, but no need to worry – they can be easily obtained online or at bait shops. 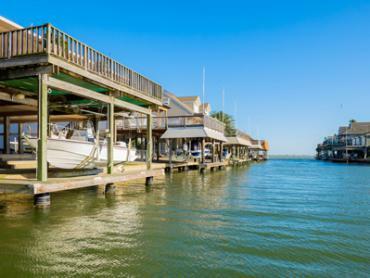 In Texas City, you'll get to experience the best of Galveston Bay fishing at pretty affordable prices. Full-day trips range from $550–$650 for a party of four, and you can expect to pay $450–$500 for half days. In case you're interested in something more out of the box, you can hit the bluewater and spend 10+ hours out for about $1,800 or book a night Flounder gigging trip for around $600. 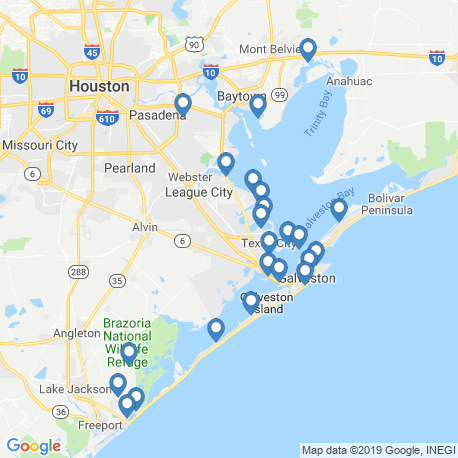 Texas City is accessible from the Gulf Freeway (part of Interstate 45), which connects it with Galveston and Houston. Texas State Highway 146 links the town with other shoreline towns in the Galveston Bay area and Greyhound Bus Lines and Amtrak motorcoaches service the city for those using public transport. Flying in? Houston's William P. Hobby Airport is only 34 miles away from Texas City center. George Bush Intercontinental Airport in Houston is 62 miles away. When your fishing trip is over, check out other amazing things in Texas City. The Texas City Prairie Preserve, situated on the coast of Moses Lake, is a must, famous as home to the endangered Attwater's Prairie Chicken, as well as other prairie and wetland species. There's no shortage of wildlife to entertain you here, whether you take it all in on foot or aboard a local charter boat! If you think you've learned everything there is about Texas City fishing by now, you're in for one additional southern treat. Night fishing is huge at the dike, and you better come prepared. Your night lights will be magnets for bugs that will attract the bait fish when falling into the water. This means one thing – bigger fish, such as Trout, won't be able to resist this delicious dinner, which will at least double your chances of catching them. Rain, wind, and cold weather won't stop you from landing Drum and Sheepshead near jetties in January. Go a bit farther from the coast and catch Redfish and Black Drum. As the weather heats up and the waters get hotter, so does the fishing. Despite the winds, smaller Redfish can be great in marshes during March. The waters are heating up more and more, raising the chances of bagging Redfish, Sheepshead, and Trout. Shark and Drum fishing gets hotter as well. May brings sunny weather and higher chances of landing a variety of species, primarily Redfish and Trout. You can also expect to cross paths with various Sharks, including Blacktip, Bull, Hammerhead, and more. This is the month of Red Snapper. Night Flounder gigging trips are also a must, or you can try trolling for Cobia and Kingfish in nearshore waters – June has it all. Everything's possible during July in Texas City. You can go Flounder gigging, focus on catching Trout and Red Snapper, or even fish for Mahi Mahi and Cobia in the Gulf. Flounder gigging is super hot and so is the weather. 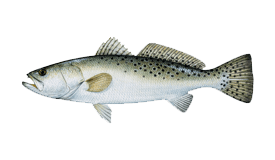 Kingfish are moving closer to the coast, while bay species are heading into deeper waters – catch them if you can! The weather is getting colder and the days are shorter. It's spawning time for Bull Redfish, which are heading closer to the bay, just waiting for anglers to reel them in. This is the perfect time for landing a volume of Bull Redfish and Trout that come closer to the bay to spawn. Despite the weather getting colder, Flounder gigging has never been hotter. November is the time for lake and marsh fishing for Redfish and Trout. Flounder gigging season is closed in November, but there are still plenty of other good fishing opportunities. December is all about marsh and lake fishing for the likes of Redfish and Speckled Trout. 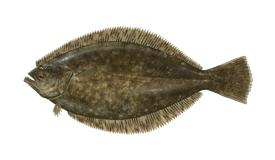 It's also the time for Flounder gigging season to reopen – you better come prepared. "Half day with Capt Mike"
"2 full day trips with captain Mike." Being from Nebraka and driving down, I would say the only draw back was Dallas and Houston.
" Half day trip with Captain Bo - Can"
Book your fishing trip with Captain Bo - Can.